South Bend, IN – April 2015 – The following appeared in the April 10th installment of Plastic News. 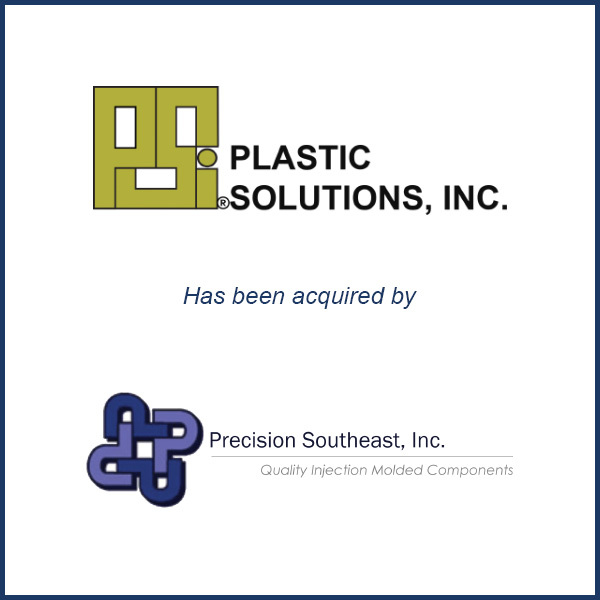 “Precision Southeast Inc. (PSI), a South Carolina-based custom injection molder, has acquired Indiana custom injection molder Plastic Solutions Inc. The approximately 100,000-square-foot facility in South Bend will produce primarily auto interior parts, PSI CEO Steve Stradtman said in a telephone interview. Molding Business Services served as the financial advisor to Plastic Solutions in connection with its March 2015 sale to Precision Southeast, Inc.
To read the complete Plastic News article, click here.